Computex 2017 is again around the corner, the world's second largest B2B PC exhibition, will commence 30th May and run till 3rd June in Taipei. For many vendors, this is the place to showcase their latest technologies and breakthrough products. 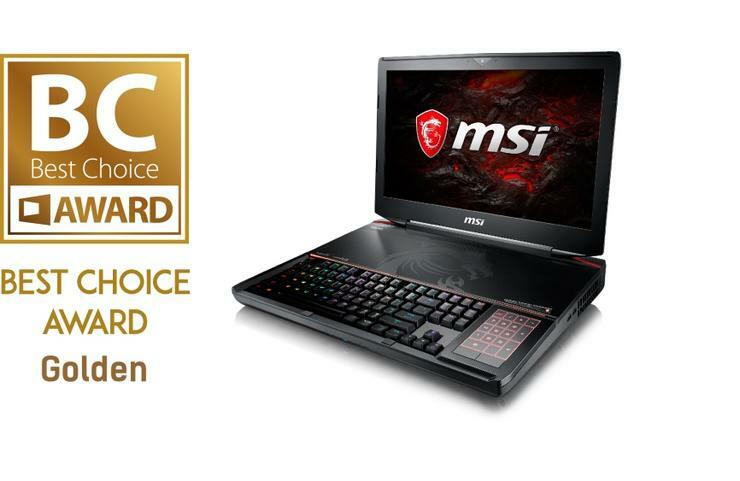 It is an accolade for any vendor to win an award at this event, and this year, Computex Best Choice Awards winner announcement was made with the MSI GT83VR Titan SLI gaming laptop beating over 300 competitors and winning the Gold Award in the Gaming and Entertainment category. In addition, MSI also picked up a number of other categories, namely; Best Design Award: MSI VR ONE gaming backpack; Category Award for both MSI Vortex G25VR gaming desktop and the MSI X1000 Network Security Gateway. Finally, the Jury's Special Award for MSI Telematics Solution for Commercial Vehicles.